As someone who often struggles to make ends meet, I often feel like I want to just curl up in a ball and never leave my house. During the worst months, I often found that it took a toll on my appearance. The dark circles under my eyes started to sag, my face would break out in pimples, and I'd gain weight. Of course, that only added to the stress. 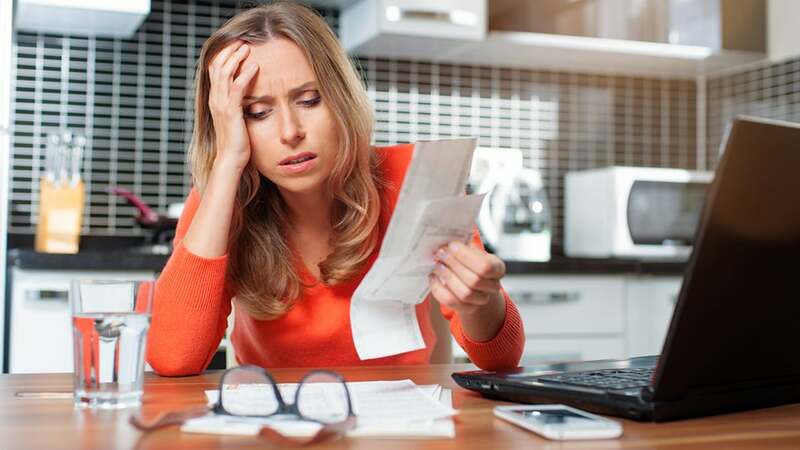 The effects that stress can have on your body are well documented and numerous, but a recently published study suggests that financial stress specifically can affect the ageing process and make people look older. Researchers from Brandeis University, the Psychological Sciences Research Institute in Belgium, and Antioch University New England tracked 228 people over the course of around 10 years, taking photos of them before and after the time span. When rated by 19 separate reviewers, the people who had experienced higher levels of financial stress were said to have aged more than those under other types of stress and were perceived as being older than their actual age. Professor Margie Lachman of Brandeis University, an author on the study published his month in Research on Ageing, had a few hypotheses on why this could be, including that large burdens could actually accelerate the ageing process. "It may be that people who are under a lot of financial stress do not pay much attention to their appearance," Lachman also suggested in a statement. Researchers also found that people said they looked younger than they were and people who felt healthier also felt younger. Dealing with financial problems is a physical and mental issue, so easing that anxiety could be easier said than done. Lifehacker has some tips on how to cope when you're in debt, which I may attempt to use in the future.